Barb appreciates and helps to promote local art in California, especially in San Luis Obispo County. She visits local art galleries often. An effective way to learn how to promote your art work is to ask successful artists how they market their work. Since I have met a number of successful artists in the past two years, I decided to ask them to share their methods. I will combine what I have learned from them and my own research to give you some useful art marketing tips. In the video above, I've asked one of my favorite artists, Laure Carlisle how she has promoted her work. She has been an artist for about 30 years. I met her right after Studios in the Park in Paso Robles opened in 2009. She was one of the few original artists at Studios on the Park, but has finally moved into a studio closer to her home . In the video she explains the costs associated with entering art shows, how she exhibits her paintings in a local restaurant and how that happened, how allowing returns has clinched some sales, how she got licensing work, what to include on a website, and how she successfully uses rack cards she designed on Zazzle to market her work. Toward the end, I have a video interview with Anne Laddon, founder of Studios on the Park, with tips on choosing a gallery, pricing your work for your market, and being businesslike, as well as other advice for beginning artists. In the past three weeks, I've spoken to many of the artists at Studios on the Park in Paso Robles about how they market their work. They all agree that you need to learn your skills very well before you start trying to market them. Most suggest that you join a local artists group, such as your area's art association. The input from other artists may help you determine when you are ready to enter juried exhibits where your work can be seen and judged. Renée Besta, a photographer I talked to at Studios on the Park, cautioned people against exhibiting their work in "vanity" galleries that anyone can exhibit in for a steep price and a steep commission. Because there is no standard of quality, you may not be in good company and the gallery might not attract the sort of art patrons you want to see your work. Almost everyone I talked to mentioned the importance of being businesslike. If you are a professional artist, you need to be professional in the way you conduct your business. In the video below, Anne Laddon stresses this. If you want to get your work into a real gallery or art exhibit, do your homework, as Anne suggests. First, find a gallery where your work would fit well. Anne Laddon mentions how to determine this in the video. Once you have targeted a gallery, find out what they require before they will exhibit your work. Have a CD with some of your best work, a professional resume, and anything else the gallery requires. You can usually find out what a gallery requires on its website or by calling them. The important thing is to make sure your work is seen. If you cannot yet get into a gallery, participate in some of the events in your community where artists and craftsmen can have booths. We have several in our area. One of them is Templeton's annual Day in the Shade where people often shop for Mother's Day gifts. Another is our annual Festival of the Arts in City Park in Paso Robles. We also have a Wine Festival, a Lavender Festival, and an Olive Festival, in addition to the weekly Farmers Markets where many craftsmen display what they have created. Whether you are a jeweler, a silversmith, photographer, work in fabric arts, paint, draw, fuse glass, or create some other art form, there is probably a local event where you can pay for a booth if you meet the event's standards. I've noticed that many of the successful artists in my community give workshops or lessons to supplement their incomes and / or to promote their work. There are all kinds of workshops going on at Studios on the Park every week taught by artists in various media and photographers. 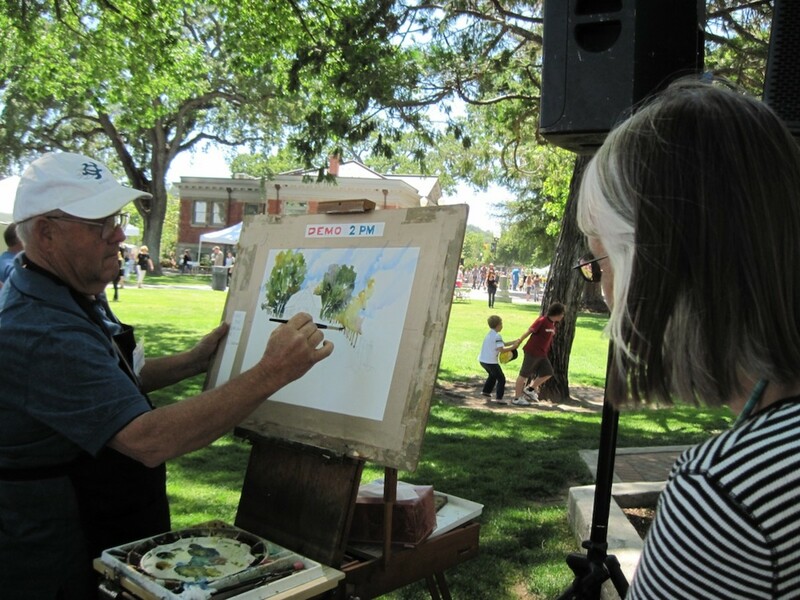 Many artists also give free demonstrations at the annual Festival of the Arts in Paso Robles. One artist who gave a workshop on watercolor last year is John Partridge. You can see a photograph I took of him during that demonstration on the right. I might mention that his work is to be seen everywhere in Paso Robles, since its buildings and scenes are some of his favorite subjects. His work hangs in the Paso Robles Inn and in many other businesses in town. His work is on the Paso Robles Area Welcome Map I have on my desk, and his art was all over the pages of a booklet given to me when I took the history walk during the Central Coast Railroad festival in 2010. What is Your Art Marketing Style? What is the Most Effective Way You have Marketed Your Art? Combination of website and the social media and / or a blog. Exhibiting at shows, festivals and other events. 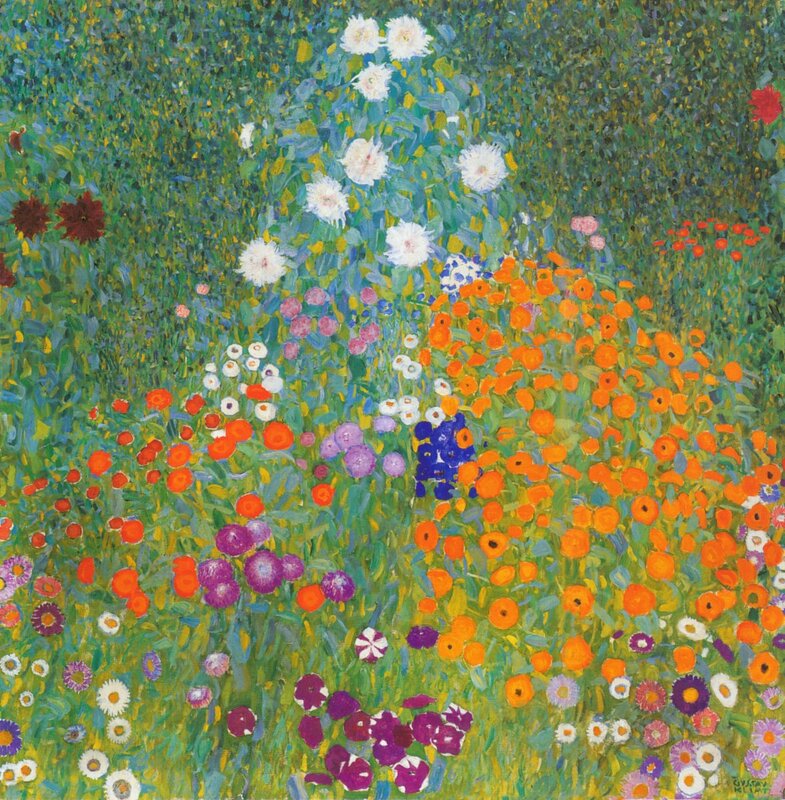 How Important a Role Do Social Media Play in Marketing Art? How important the social media are in art marketing depends upon whom you talk to. Many of the artists told me it was very important. Almost all have a website, and many have a Facebook Fan Page. Many also tweet and have a LinkedIn Profile and use other networking sites. Is all this necessary? Brian Kliewer, whose blog, "I Wish to Speak to You," I listed below tried the social media route and eventually closed his Facebook account. He thought the whole social networking thing took too much time away from his art and did not really increase his target audience. Instead he tried something different. He found a subject to paint that he really liked -- a certain cove in Maine. He did a series of paintings on this cove from different angles and perpectives, at different times of day, and different seasons of the year. This was a narrow niche. He named the paintings after the place and put them on his website. Then he blogged about the paintings as he did them. Since his paintings had the same subject matter name in the titles, they were easy to find on google, since he also blogged about them. People found his website, and he sold most of those paintings. The search engines brought him the targeted audience he was looking for. So Brian believes his blog has been much more effective than the social media in finding those who want to buy his paintings. An artist discusses his experience of marketing his art with social media and why he stopped tweeting and closed his Facebook account in favor of niche marketing and his own blog. Answers marketing questions artists ask. Every artist I talked to stressed this point. No one will, as Anne Laddon so aptly pointed out, come knocking on your door to see if you have art to sell. So just what kind of work is involved? 1. Develop your skills and keep growing as an artist, whatever your media. 2. Be businesslike. Maintain a database of your customer contacts and include information on what your customers like, what styles they go for, what other artists they have bought work from or admire, what they are looking for, the price range they are looking for, maybe even their children's names. Keep adding to this information as you find out more. Make these notes as soon as possible after a customer contact, so your memory will be fresh. 3. Price your work realistically. See Anne Laddon's video for advice on this. 4. Partner with other artists if you can and cross-promote each other's work. 6. Maintain an email list. 7. When you finish a new piece of art, contact the people from your database who might be interested in it. Notify your email list. If you call people, be yourself, don't be pushy, and just have a real conversation. See Clint Watson's FineArtViews blog, linked to below, for more details. The link goes only to one post, but once there, you will find many marketing hints in his other posts. 8. Know your market. Who will be most interested in your work at your price range? 9. Use social media if that's your style. Or blog if you'd rather. I know one artist at Studios on the Park who doesn't use computers at all, but she sees prospective customers in her studio on a regular basis. The Studios on the Park in itself is a great way for artists to promote their work. It is the brain child of painter Anne Laddon, who had been part of the experience in turning an old torpedo factory in Washington, D.C. into a vibrant collection of working art studios. It opened to the public in 1974 as the Torpedo Factory Art Center. Anne worked there for ten years, experiencing what being part of a nurturing art community could mean to artists at all levels. When she moved to Paso Robles, Anne remembered this experience and wanted to see something similar built for the artists in Paso Robles. In the summer of 2007, she found an auto parts store which had gone out of business, and was able to lease the building and with the help of many others was able to bring Studios on the Park into being. It took hard work from the founding Board of Directors, friends, and fellow artists to get the doors open. Now the art community of North San Luis Obispo County has a home. Since Studios on the Park is open four days a week to the public, it is a wonderful place for artists to promote their art. 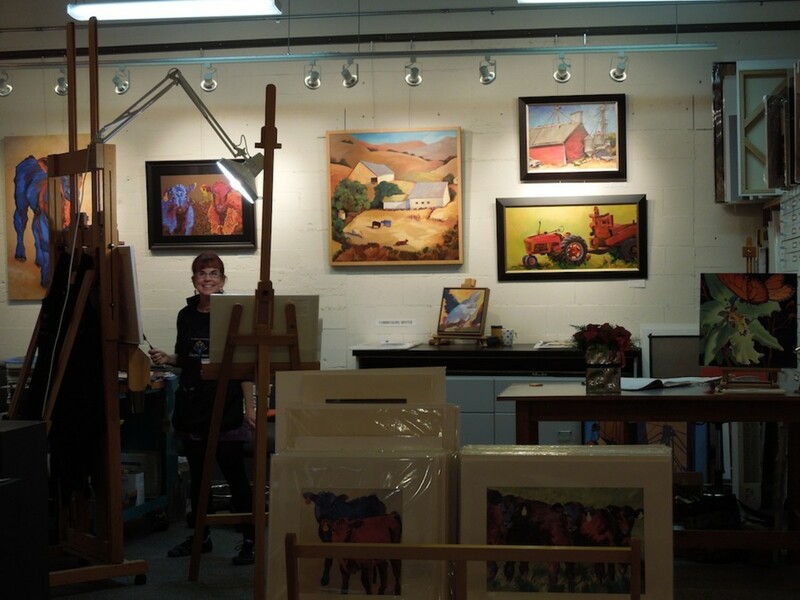 Those who have rented studios get a lot of traffic since people are attracted to a place where they cannot only have a gallery to look at, but also can watch real artists at work and ask them questions. It's a natural place to make contact with potential customers. 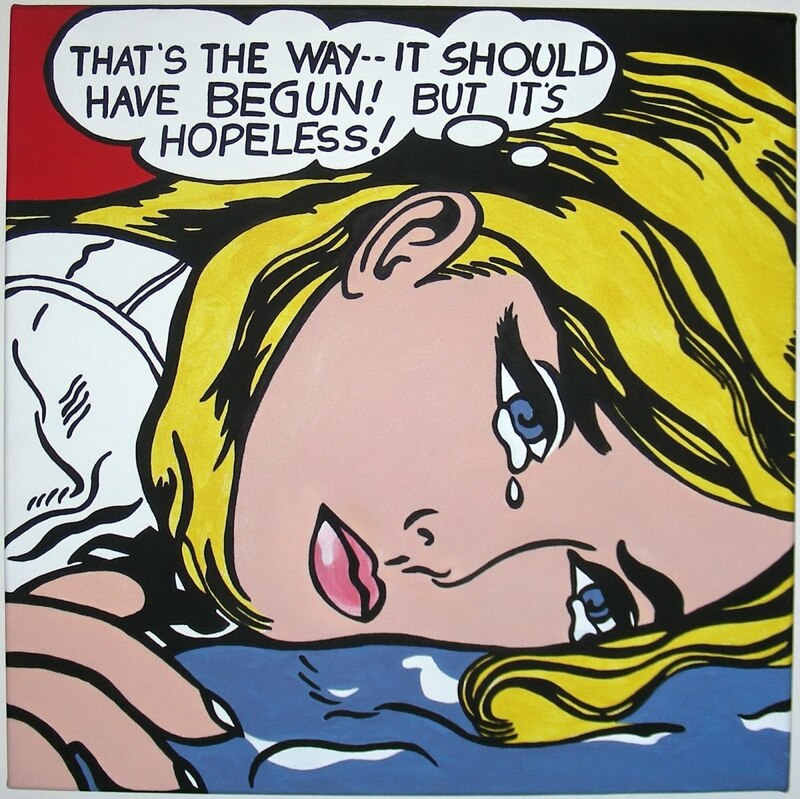 Many artists talked about a decline in sales because of a bad economy. Some of them are prominent artists used to getting high prices. They don't want to lower their prices on their large works. So they have started a new strategy. 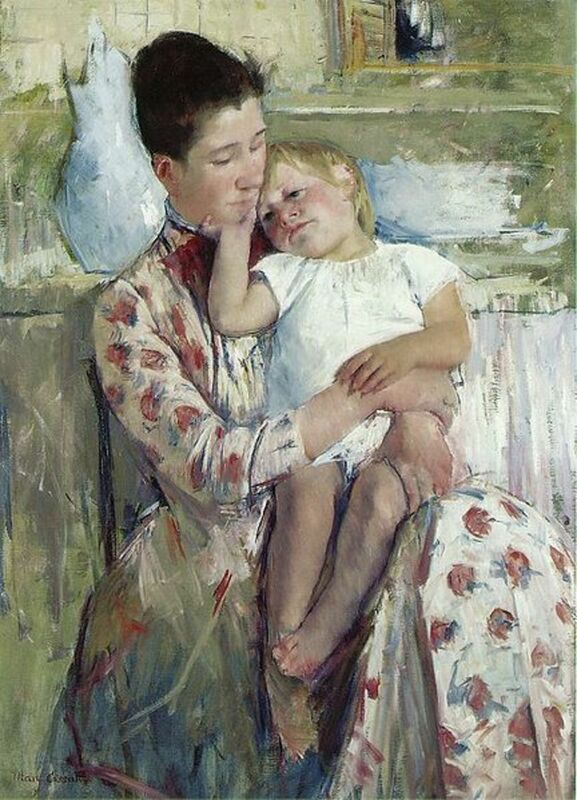 They keep their large and more important works professionally displayed in suitable frames in galleries. But they create smaller works which they sell unframed less expensively from their websites. These smaller works attract an additional audience who will be able to buy as the economy struggles. Everyone has to do what's best for herself and her own work. I'm not an artist myself -- just a hobby photographer, and my work is online only, as well. These are good tips, but as an artist I have decided to promote my artwork online exclusively. I have sold a few pieces, and I might not be some reknowned artist, but this allows me to control the way my art is presented. My art is about me, and my vision of Hawaii and SoCal. I have no boast to make, and making art for me. Thank you. It is wonderful to have Studios on the Park here and the chance to meet artists and watch them at work. What a wonderful article - congratulations on your Hub of the Day! It is much deserved. Loved the videos as it gave me a chance to get information from the experts, and you asked wonderful questions. I do a lot of arts - particularly making quilts, but haven't tried to market any of the stuff, so this is very pertinent information. Voted up. I have to admit that I am jealous that you love someplace that has the Artists in the Park concept. It sounds wonderful. Peggy, I really appreciate that, and I'm glad you found this useful. Just now going back to take a look at some of my questions posed and am definitely awarding this the best answer. Thanks again for writing this informative hub. Snappycanvas, I love your user name. One thing I think art and writing have in common are that they both are creative activities. We'd rather be pursuing them than spending time promoting. I guess to be successful we will have to be just as creative about our promotion. Thanks for your comment. These are helpful tips especially to those artists and people who have a great passion in art including me. I guess I have to put my heart in it and try to practice these tips from this hub. Very useful WannaB Writer. Georgina, you can't beat what works, and you don't know what works until you try it. That's something I have considered doing too. I'm still thinking about it. It's a matter of trying many things and finding something that works for you in the end. Marketing does take a lot of time. I was finally able to speak to Judy Lyon, another artist at Studios on the Park who does watercolors. She wasn't there the day I spoke to the other artists. I knew she didn't do anything on the Internet, so I was curious about how she promoted her work. She says she doesn't. She lets the Studios do it for her -- meaning she relies on foot traffic through the studios. When I spoke to her this weekend, she was working on a painting of our nearest lighthouse. She explained it would be given to the association that helps fund the lighthouse restoration -- that because she often donates paintings to them to be auctioned, they give her access to the lighthouse property every couple of weeks with some other artists. (It's not easy to get access.) I said, "Seems that your name will get out through this, so it may be a type of marketing. " She replied again that she doesn't market her work, she lets others do it. However, I can see that by making these donations, her work is becoming known and is being seen by the public. Another great hub, with loads of really useful info! speaking as an artist, i spend maybe 10% of my time in the sutdio creating, and the other 90% trying to promote my work. Sometimes it can be a real slog, so thank's for the motivational writing. Rating up. gamelover, I hope it helps you in some way. Thanks for stopping by to read it, Halley. Thank You! This is a nice hub. How effective they are, of course, depends on your effectiveness in using them. But they seem to be necessary when it comes to letting people know about your work. babithababa and greatstuff, thanks for stopping by to comment and vote. I appreciated it. Congrats on your HOTD award on this informative and useful hub. Well done! I am a newbie on the Hubpages . I voted up yuor article which means what I mean ! Twilight Dream, when I finish this reply I will be on my way to Studios in the Park to thank those who helped for their input again, and let them know how much people have appreciated it. Thanks for coming by to read and comment. Hi WBW, Very informative hub. Congrats for 'Hub of the Day'. I hope that your idea of answering Peggy's question on the subject helped lot of readers here like me and really inspired everyone of us. Rated up and enjoyed this hub. Thanks for sharing. i'll keep watching to read more. Pinto, I hardly know how to respond to those kind words. I think there are plenty of writers here who are ahead of me. I owe a lot to my wonderful sources at Studios on the Park who were willing to share their secrets. Through this article you have proven that you are a mile ahead from any other writer. The way you have compiled this article and given the insightful judgement on this topic is in itself a great piece of art. Emily, you make me blush. I appreciate you kind words. I do hope this hub helps artists make a good living. Thanks, Dave. Coming from you, those words mean a lot to me. Congrats on hub of the day!!! I think you aren't just a wannabe writer, but a great writer! :) This hub is chalked full of wonderful info on how to promote art work. Thanks! Voted up. completely awesome and well rounded and well written. I think hubs like this, really help artists and others who are looking to live doing what they love... congratulations too for Hub of the Day. prasetio, I also love art. I wish I had come talent at it. Thank you for your kind words. I'm glad this was helpful to you. I love art very much. I found something great about how the artist promote their work. I know that there are many artists out there with various stream, they should to introduce their work. Your hub explained very well about what should they do after finishing their work. I learn many things here. Good job and rated up (useful, awesome, interesting). Have a nice day! Brian, thank you. I will pass your comments to the artists who let me interview them on video. They didn't get much warning. Laure had no warning, so we'll give her an "A+" in extemporaneous speaking. I have a lot f video for Anne Laddon I want to use in another way. Unfortunately, there was loud piped in music that allowed her to be heard, but probably is copyrighted, and I don't know how to edit it out and leave Anne's voice in. I asked to have it turned down before I made the video on this hub. I guess artists and we writers have to apply some of our creativity to marketing if we are going to stand out. Thanks for visiting and commenting. Let's face it. Promotion is WORK. For those of us who write, as well. Your mom is lucky she has your help. Our artists here are very fortunate to have Studios on the Park as a hub with a steady stream of people visiting it repeatedly, keeping up with their favorite artists and discovering new ones. Congratulations on Hub of the day :) This is an excellent resource for artists to share and learn from. I thought the videos were very good and explained just how many variations there are to sell your work. Voted up. Very informative hub! I enjoyed this very much. We who sell our art do very much have a dual role. The business person and the artist. Sometimes it's hard for these two roles to coexist. Finding balance between the two is best, but sometimes hard to do. Thanks for sharing the observations and advice from so many sources. Oh, it is always a challenge advertising Mom's work in an effective manner. It's always been difficult, but with the advent of using a website via the internet, there is huge competition among artists. It is hard to stand out. Faceless, thanks for the kind words. Some people think that creative and professional just don't mix. But today it's much harder for an artist to find a patron who will support him as he paints, so that means he has to do more marketing and tend to some business aspects at times he'd rather be creating. Thank you. I'm glad you found the information on how to promote art useful. Thanks in advance for sharing it. Hello WannaB Writer, this is a fascinating hub and I learned a lot. I love your video at the beginning. I've met many artists who, as you say, are not "professional," and that is definitely important for every artist to keep in mind. If you're creating art for fun, I guess it doesn't really matter, but if you want to earn a living doing it, treat it like a business. Voted up, interesting, useful, and beautiful. Congratulations on your well-deserved Hub of the Day Award! Useful information! I am going to share with my friends. Congratulations on Hub of the Day Award. Thank you, Peggy, for asking the question that was right up my alley, and giving me a reason to write this. Thanks for sharing it. RTalloni, I'd rather have you appreciate the information than the recognition, but thank you. This comment means a lot to me. What a great hub about art marketing! Thanks for answering my question with this extensive explanation including the videos. Great hub! It is no wonder that it also got a hub of the day award. Voted up, interesting, useful and will tweet and share with my followers. Thank you, RTalloni. This was a hub I really enjoyed writing because I could talk to a bunch of people I like and respect and pick their brains to share the best with you. These artists love what they do and they do beautiful work. Thanks, starstream. One thing I find interesting about artists is how diverse they are in what they create. Some are known for just one medium, but others paint and make jewelry or sculpture. Others experiment in all kinds of mixed media. It's fun to be surprised as each new aspect of an artist's diversity appears. Cyndi, thanks for stopping by to read and comment. Those of us who write can also apply some of these techniques. Thank you, princess. I appreciate your sharing this with anyone who might find it helpful. Thank you, vespawoolf, for coming by. I wanted to write something that had advice from people I knew and respected who were successful in the field, yet each is different in her approach. Thanks for stopping by to read and comment. I hope your artist friends will find this useful. There's always something new to learn. Waynet, don't limit yourself to just art shows. 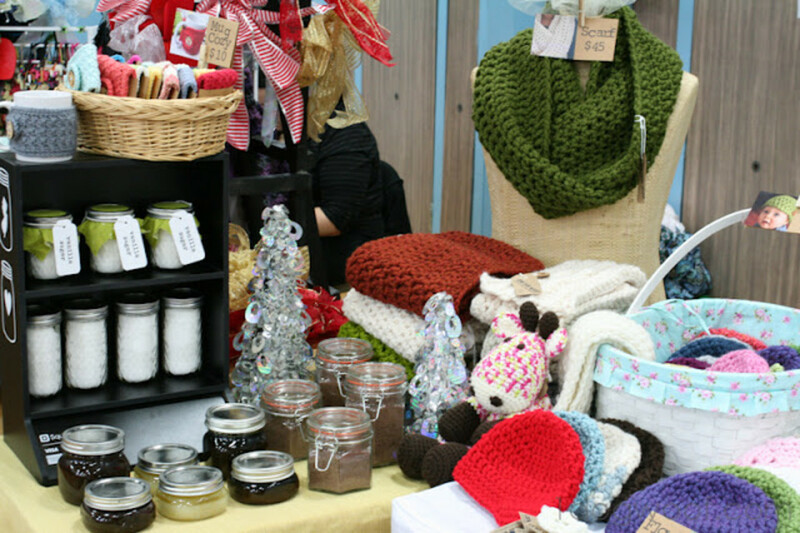 Look into local events in your community where artists and craftsmen can set up booths. Here we have a Lavender Festival, an Olive Festival, a Wine Festival, and many I've not yet attended. I see a lot of artist booths at all of them. People don't go there to buy art, but a lot is still sold there, and a lot of business cards are handed out to get people to their web sites, etc. Thank you, Susan. You are right. Those of us who write also have to spend a lot of time promoting when we'd rather be creating. cclitgirl, the more I talked to the artists while writing this hub, the more I realized that we who write have the same sort of marketing problems. They need people to see what they can create, and so do we writers. Artist often start promoting by entering exhibits and going to various local events where they can set up a booth of their work. Many published authors have to tour bookstores for autograph parties and appear to sign books at bookseller trade shows. Everyone needs a website today, everybody needs to blog, and so on. We all just have to keep at it, even though we'd rather spend the time creating. disujaalbart, thank you. I'm hoping this will help artists. Thelma, congratulations for being the first to let me know this was Hub of the Day. What a surprise to wake up to! I'm glad you found the hub useful. Congrats on your Hub of the Day Award and thanks much for putting this valuable info together! Thanks for this very informative article about selling your art. I enjoy painting and beading and wrote a couple of articles here too. We artists need lots of business/sales ideas since most of us are mostly just artists! I voted your hub up. Congrats on Hub of the Day. This was very well done any artist could use this kind of information. Top resource and helpful advice for budding artists. Even the more established ones will find this to be an inspiration to network and promote their work more intensively. I'm sharing this post hoping that it lands in the hands of a budding talent. Congratulations on Hub of the Day! This is fascinating and unique information. Thank you for sharing! This is so full of so much that one needs to know for success in the world of marketing art...loved the videos too..passing this along to my friends who are artists!!! thanks for sharing this and congratulations on hub of the day. This is great! It's given me a few ideas and I've just had a look to see if there are any local art shows and there are so I'm going to get busy painting some new stuff! Cheers now! This is a very interesting and informative hub! It seems that artists have to spend nearly as much time promoting as creating. Congratulations on Hub of the Day :) Voted up! I think this hub is an indispensable resource for all artists. 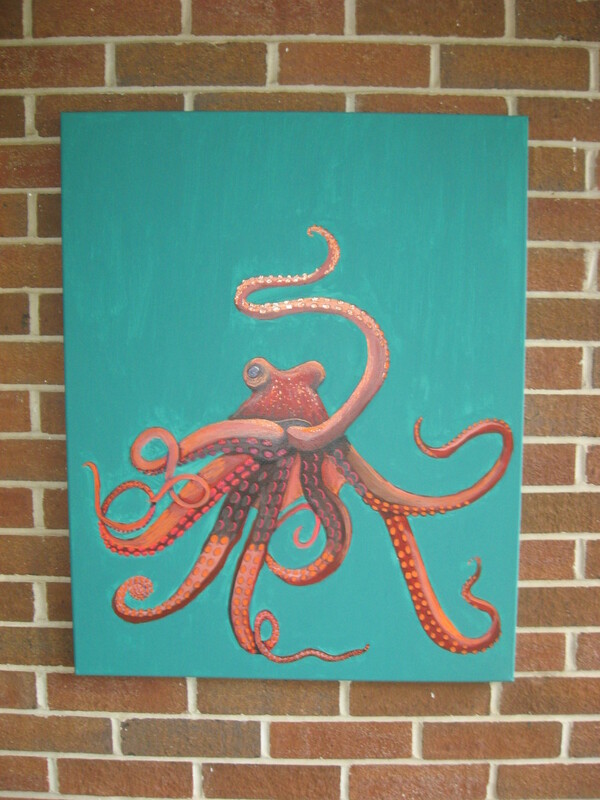 I have tried my hand at selling art. I've read books, sold a few pieces and the like. But, I always end up discouraged and though I always go back to my art, I do it for pleasure only now. Perhaps one day I'll have the courage to go marketing my artwork again. Great hub and congratulations on Hub of the Day! Hiii... Thanks for this useful information.. I think artist find great resources here..
Congratulation on the hub of the day! This is a great information for me as I am the one who sales the paintings of my husband. I will forward this information to him though. Thanks for sharing. Voted up and useful. Thanks, Simone. You should see all I didn't put in the video. I cut out all the parts about Pinterest. I plan to do some more hubs on individual artists when I have time. It is wonderful to live so close to Studios on the Park where I can catch up with several artists at once. What a great resource this is- packed as it is with advice form real experts! LOVE the videos- how cool! I'll have to pass this on to my artist friends. aethelthryth, you are right about that. But every successful artist I talked to stressed the importance of being businesslike and professional in presentation and relationships with customers. Thank you! I will pass this information on to artists I know. In my experience, most artists need explanations like this because the personality it takes to run a business doesn't overlap all that much with the personality it takes to create great art.